Here is some interesting news from OLA cabs for all Chennai riders. 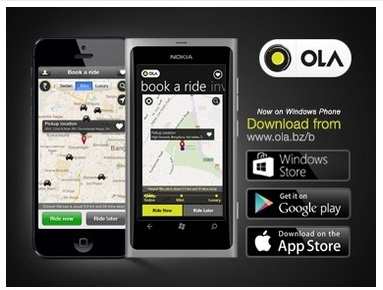 OLA is celebrating its 2nd birthday in Chennai. As a token of gratitude for the warmth they have received from Chennai people, they are bringing you cupcakes at your doorstep. How to avail this cupcake offer from OLA Chennai? 1. Open the OLA app on 29th October between 11 AM to 5 PM. 2. Select the icon 'OLA BDAY'. 3. Hit confirm. If your booking is success, OLA will come to your doorstep with a box of delicious cupcakes. It is absolutely free for you. 1. This OLA cupcake offer is available only in Chennai. 2. OLA Cabs with cupcakes are subject to availability. 3. OLA cabs reserves the right to modify/withdraw the offer at its sole discretion.